The majority of readers will not understand this piece. How can they? 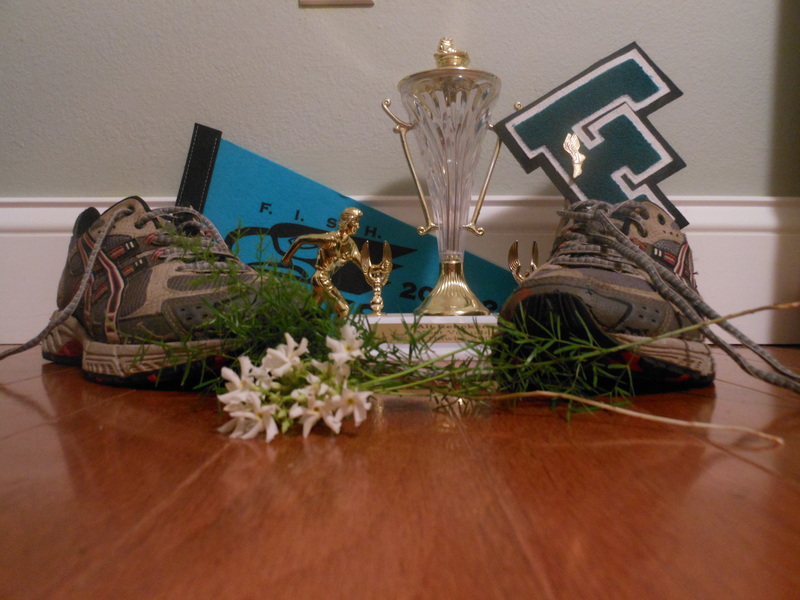 Only true, dedicated runners will understand the heavy-heartedness of having to throw away a pair of running shoes. I remember the horrible day when my first pair of running shoes gave out. My running experience began in 8th grade. I was bright-eyed and naïve about crosscountry, competition, and carbs. I didn’t even own a pair of running shorts until shortly before my first meet. But I had my sneakers. They hugged my feet protectively as I ran my first race. They clung to me as I stopped before the finish line because (as previously mentioned) I didn’t know about carbs and that one especially should consume some before an afternoon race. They stuck by me as I stumbled across the finish line, dizzy, white-lipped, unable to see clearly, and hanging onto consciousness by a thread. Even as I retched, they didn’t abandon me. They were loyal to the day both of the soles ripped off completely. Although one may be on a team, running is, in several ways, a solitary sport. In my opinion, that is one of the most nerve-racking things about it. A runner does his or her best and hopes the rest of the team does the same. You can’t pass the ball, a teammate can’t bail you out, and you cannot just be a “good” runner – you are the third best or the eighth best or the fourth worst. Arguably, a runner’s sneakers are the truest teammate one has. Teammates carry you through a challenge. They support you. They are right beside (or beneath) you the whole way. I am probably being silly, but I cannot help being nostalgic as I deposit my worn soles in the trash can. We had a good run. I guess that’s all that can be asked of any team.